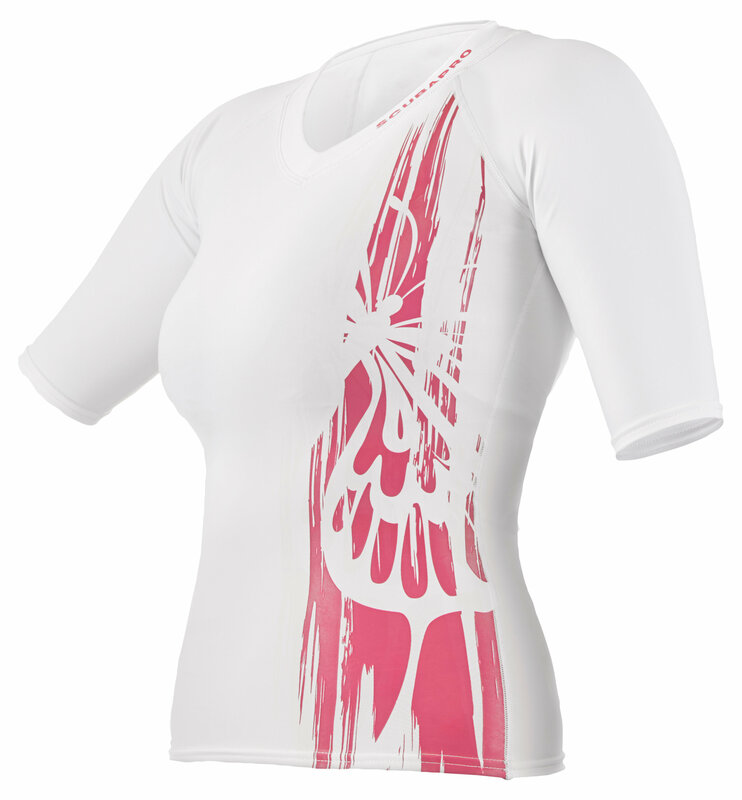 Turn heads wearing these stunning white and pink or white and purple MERMAID rash guards. Designed to excel as undersuits, these short sleeve rashies are also great topside garments. 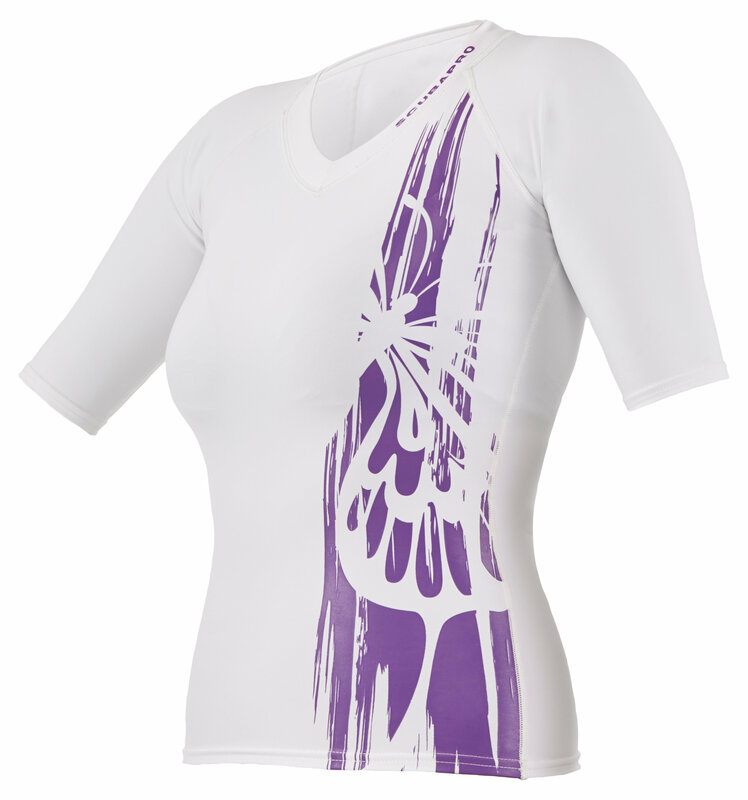 The high-tech hollow fiber material is super-stretchy and the vibrant colors are sharp and ultra-stylish. With a UV rating of UPF-80 (Ultraviolet Protection Factor), these rashies dry quickly, are highly breathable and offer excellent sunburn protection. In 5 sizes.